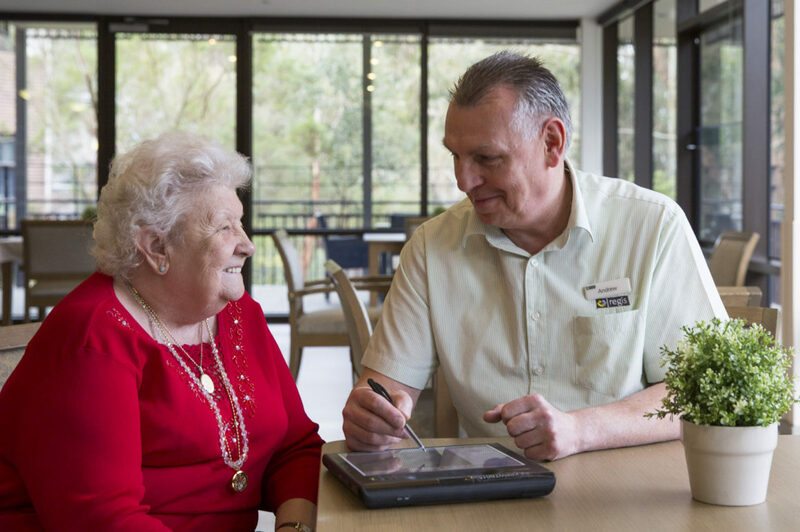 Aged care in Central Coast with Regis means that residents will be looked after. Our two closest locations to nursing homes in Central coast are Regis Rose Bay and Regis Port Stephens. Although it may be a big change for those over 55, living in Central Coast, many of our residents say the change is for the better and well worth it. With over 20 years of experience in the aged care industry, Regis is dedicated and determined to deliver the highest standard of care to all of our residents across our numerous locations in Australia. We are constantly striving to improve the standard of care provided in nursing homes in Central Coast and all across Australia. Aged care with Regis means that we provide a number of unique services and complete care so that our residents can live life on their own terms. Regis offers ageing-in-place, dementia, palliative, and respite specialist care, with our on-site chef serving fresh, home-style meals daily to our residents. If this sounds like something perfect for you or your loved one, don’t hesitate to contact us on 1300 998 100 to find out how Regis aged care can make a difference in your life.